35 years ago tonight, on Tuesday, January 27, 1976 “Laverne & Shirley” premiered on ABC. 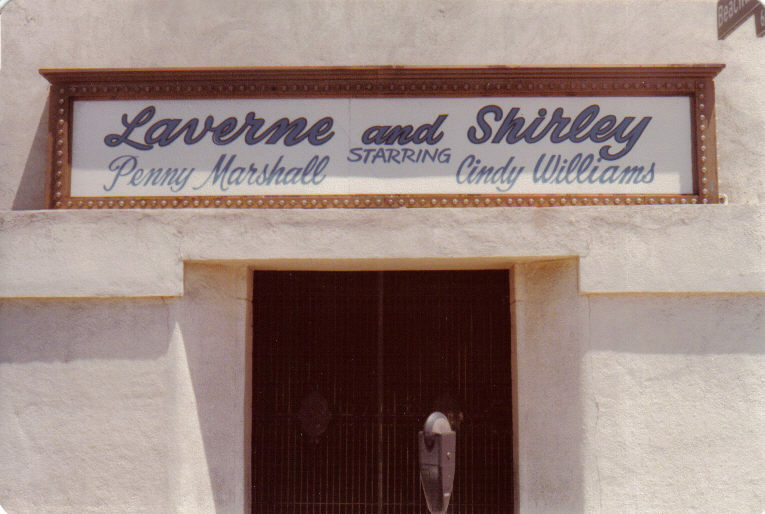 The “Laverne & Shirley” marquee at Paramount Studios where the series was taped, June 1979. The show starred Penny Marshall and Cindy Williams as bottle-cappers at a Milwaukee brewery. Like “Happy Days” the show was set in 1950s. 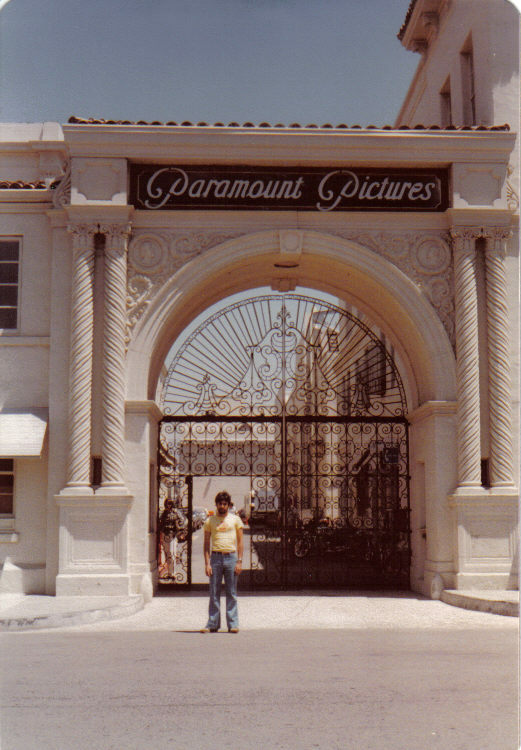 This writer at the historic Paramount Pictures gate on the lot where “Laverne & Shirley” was taped, June 1979. The mid-season replacement series shot straight to the top of the ratings, finishing its short first season as the #3 primetime series. The next year it was #2, followed by two seasons as TV’s #1 show. By the 1979-1980 season “Laverne & Shirley” had dropped out of the top 10 for good. “Laverne & Shirley” ran for eight seasons (7 ½ really). In the fall of 1980 the setting moved from Milwaukee to California, and then in 1982 Cindy Williams left the show. It ran for one final season with just Laverne, no Shirley and left the airwaves in May 1983.